Meet Carrie Walker-Boyd our Senior Lead Instructional Designer at Alliance Learning. Carrie has been designing training courses and programs for nearly 20 years and has been with Alliance Learning for the past three years. We interviewed Carrie to not only give you insight to what it means to be an Instructional Designer but to also showcase some of the talent behind all of these amazing courses we have developed and are currently working on! What made you want to get into this field? Can you describe the top 3 qualities someone should have to be a successful instructional designer? 1 - “Absolutely the desire to want to help people be really good at their jobs. Not to just ‘create training’ for the sake of training. 2 - The ability to conduct a needs analysis, answering the most important question – What do you want or expect to see changed with this training? Then weeding through the ‘extras’ to remain focused on the end goal. Who are the learners and how do they operate? It’s critical to do this first, it will save plenty of hassle and mis-fires down the road. Scenario: A new process for using safety equipment is going to be implemented. The change is significant enough that learners can’t just be ‘told’, they need to see and learn. Map out the course components and create purposeful interactions with the learner to meet the objectives (demonstrations, practice components, opportunities for discussion, questions, etc.). Scenario: We decide on a short 3 module course: The reason for the change, The change itself, and Overcoming issues. We decide to show video demonstrating the old and the new, and since we’ve been told to expect objections to the new process, we add a scenario where two people are discussing the challenges this could pose in the workplace, along with reasons and ways to overcome it. 3 – Develop: This is actual creation of learning materials, booklets, e-learning programs, job aids etc. that make up the course itself. The key here is not to get too fancy needlessly. The learning has to be easy, and if you throw a bunch of bells and whistles at it, you may distract or frustrate your audience. This step consumes the most time, however it is relatively simple when you’ve done the first two steps thoroughly. This is not dumping everything you know on a Powerpoint. Remember…'telling ain’t training'. Scenario: This will be done online so an e-learning component is programmed, small video clips are shot, edited, and entered into the program, and a quiz is completed and scored according to importance. The entire package is published and placed online. 4 – Implement: This is the putting into action of the course. The actual teaching of a classroom course, posting an e-learning module, hosting a webinar. Did the learner like the course? Did it make a difference on the job? Did the organization see any overall improvement? This part can get quite costly so often evaluations are done only at the first two levels with surveys and quizzes. Scenario: We decide on a short three-question survey to ask whether learners enjoyed the course and felt it met the need. As it was deemed important that learners pass the test before being allowed to perform the new procedures, the learner must print off their scoresheet of 80% or higher and provide this to their supervisor for their first shift. “Training is problem solving. Either something has changed, or something isn’t working. We are a service provider to the people actually doing the job. It is a humble profession and our focus must always be on ensuring the people we serve have the knowledge and tools they need to perform to the best of their ability. You have to MOTIVATE your learner group to learn. If you bring them to the table/computer, and show them something RELAVENT and EFFECTIVE in an EFFICIENT manner, that gives them the results they need, they will trust you as a trainer and feel confident you’ve given them what they need." If you have any questions specific to the development and design process of training, feel free to send Carrie an email. Should you be interested to see some of Carrie’s work, sign up for our monthly newsletter and you will get an email with the link to our Wealth Management Certificate Program. Not only will you get to explore to amazing work we do, but you will also get a better understanding of your RRSP contribution and it can even help you to save on interest each month... it's a win win! Creating great e-learning is much more than just an instructional designer. It takes a whole team! So, who manages this team? Before you begin your e-learning project, a key ingredient to ensure that everything runs smoothing, gets done in a timely manner and most important stays within budget is to find the perfect Project Manager. Of course, you want someone who has the skills and knowledge along with years of experience. But should they have more? 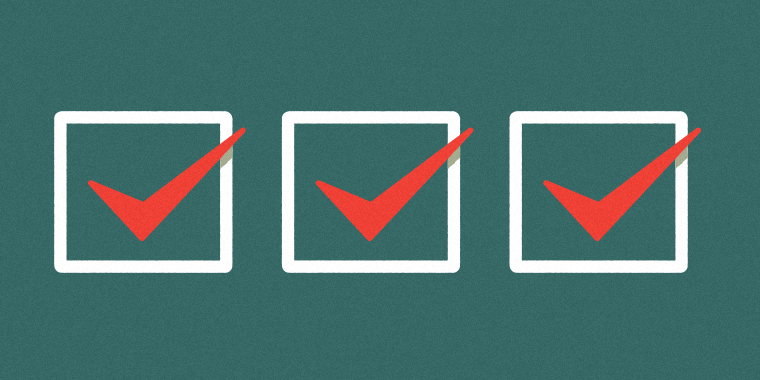 What are other qualities that a great e-learning Project Manger must have? Having project management experience is not enough to be a great e-learning Project Manager. You must have a solid understanding of what the e-learning industry is all about – it is a face paced industry where every role is contributing to producing high quality content. Even having some educational or technical background would be considered a key asset to an e-learning Project Manger. Knowing what resources and tools are available to produce great content is essential. As an e-learning Project Manager you almost act as the hub – you want to try and be just as knowledgeable as a designer as to what is out there and what you have access to. Staying current means that you are always on the hunt for information. Whether that be a workshop, an article, an e-learning conference, attending a webinar, etc. It means that you are proactively educating yourself about what is new on the e-learning landscape. I think this speaks for itself really. A Project Manager in any industry requires leadership qualities. Essential you are leading a team to create the best e-learning content that they can produce. You need to help them when they need help, you need to motivate them when they need that extra push – you need to keep them on track and on budget. No client likes to hear that the project is over budget and won’t be done within the timeframe that was originally established. It is also important to show compassion and empathy towards your team but at the same time knowing when to be assertive. As a Project Manager in general it is important to know what you have resources you have available to you with your budget and time frame – key words there! This doesn’t necessarily mean tools and applications for the developers, it could be a software program for the Project Manager themselves. So, they can manage their resources, tasks, and team with easy and organization! One would think this goes without saying, but it would be surprising to know how many Project Managers are out there who lack time management skills! This is the core, this is what will deliver your piece to the client when promised. Doesn’t matter the size of the task it needs to be documented and crossed off each time. It is important, for every project, that you consider the risks (threats) involved. There are always going to be hiccups along the way and the better you are prepared for them, the better you can manage them. Conducting a S.W.O.T analyse (Strengths, Weakness, Opportunities, Threats) can help you prepare for those unforeseen circumstances. It might put you off track for a bit, but quick reflexes will get you back up and running in no time! This is the one we all love oh so much! Working in teams, conflict will arise, that is inevitable. It is important for everyone on the team to feel comfortable enough to say something and speak their mind, but as the project manager you need to make sure the friction stays to a minimum. It could get to the point where the Project Manager may have to step in before it gets ugly! To help deal with conflict situations, one must equip themselves with effective communication and interpersonal skills. I love the line, " The half-life of skills (currently at 5 years) continues to decrease rapidly, and work is being constantly reinvented." This is good news for those of us in the learning and performance industry...it also reinforces the need for each of us to be constantly learning new skills too, in order to continue to be of value to our clients/learners. Baby Boomers are retiring at a rate of 10,000 per day, leaving behind a huge hole in organizational knowledge and leadership. 51% of Millennials expect they will have to retrain in response to increased use of automation in the workplace. 41% of Millennials say they prefer to communicate electronically at work than face to face or even over the telephone. Three-quarters (75%) of Millennials believe that access to technology makes them more effective at work. Click on the image below for the full infographic. What sort of questions can you ask in a post-course evaluation? Evaluation is important and not just for the learner, but it is also important for the course to be evaluated. How can you go about creating a post-course evaluation? Well you have come to the right place! A post course evaluation is not only to assess your course material, but it is to also help you figure out what adjustments you can make to help improve the course for future learners. So, you might be wondering why, why is it so important to evaluate your course? I mean doesn’t the learners outcome give you enough data on how the course is being represented? Let’s first talk about what a post-course evaluation actually is. It is a document that is distributed to all participants at the end of a course. You want to create a series of questions (simple and to the point) that are designed to help you gather information about what the leaners thought about the course. Did they like it, did they find it useful, was it long, was there not enough content, etc. This will be able to give you some sort of idea of how the learners are doing I the course. It will also give you an idea about creating more courses, based on their feedback. Make sure to ask the question of what other areas would interest them. Will help with future course designs! • Did you like the training? • Was the instructor qualified? • Were the learning objectives met? • What topics should be added or omitted? • How do you feel you can apply what you've learned on the job? • Do you have a task in the near future that allows you to apply the new skill/knowledge? These questions address actual performance and application of the new knowledge and skills, which should always be the end goal of any training. Having these answers should give you a bit more information about how the training will actually impact the business and the bottom line. Showing 21 - 25 of 60 results.